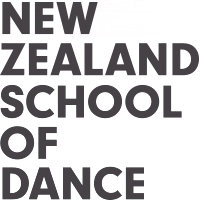 The New Zealand School of Dance is based in New Zealand’s capital, Wellington – a beautiful city, alive with cosmopolitan culture and a creative atmosphere. Nestled between a stunning natural harbour and tree-covered hills, Wellington is a small city, ideal for walking around. Art galleries, theatres, outdoor activities and hundreds of cafes and restaurants can all be found in close proximity to the School. Multicultural and globally connected, the city has a rich arts scene. It houses many national dance, theatre, film and music institutions, including the Royal New Zealand Ballet, Footnote New Zealand Dance, Dance Aotearoa New Zealand, Weta Workshop (Lord of the Rings films), the Museum of New Zealand Te Papa Tongarewa, the New Zealand Film Archive and New Zealand Symphony Orchestra. Wellington hosts events such as the NZ International Arts Festival, the International Film Festival and the World of WearableArt. It is a hub for performing arts training, home to the New Zealand School of Music, Toi Whakaari: NZ Drama School and the New Zealand School of Dance. Located on a peninsula at the bottom of the North Island, Wellington’s climate is moderate with distinct summer and winter seasons. The temperature ranges between a low of 6 degrees celcius in July and a high of 28 degrees in February. Wellington ranked in the Mercer Quality of Living Rankings as the most affordable city in Australasia in 2012, and the 12th most liveable city in the world in 2015. It is a pleasure to live here. Wellington is the ‘coolest little capital in the world’ (Lonely Planet Best in Travel 2011) New Zealand is the 3rd most peaceful country in the world (Global Peace Index).